FDR had radio. JFK had TV. Trump has Twitter. 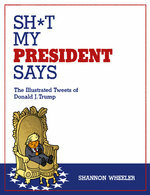 Top Shelf Productions is pleased — big league — to announce Sh*t My President Says: The Illustrated Tweets of Donald J. Trump, in which Eisner Award-winning cartoonist Shannon Wheeler tackles the 140-character president. For the first time, these revealing snapshots of the world’s most powerful man will be collected, curated, and brought to memorable new life as cartoons. This compulsively readable hardcover will reach stores in August 2017. "Shannon Wheeler drew a book I wish I had thought of; that's the ultimate compliment I can offer in 140 characters! 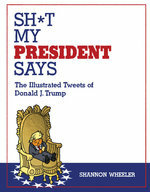 #buyit #wheelerisagenius"
In Sh*t My President Says, Donald Trump's most revealing tweets are transformed into razor-sharp cartoons, offering a subversive and illuminating insight into the mind of the most divisive political figure of our time. Whether you love him or hate him, this take on Trump will help you come to grips with the man and his ideas thanks to Wheeler's signature mix of slapstick and sophistication. SHANNON WHEELER is an award-winning cartoonist best known as the creator of the satirical superhero Too Much Coffee Man, who has appeared around the world in comic books, newspapers, magazines, books, and even his very own opera. 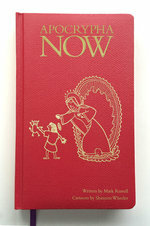 He has also created the strip Postage Stamp Funnies for the Onion, illustrated several books including I Thought You Would Be Funnier, Grandpa Won’t Wake Up, and Oil & Water, and frequently contributes cartoons to the New Yorker. 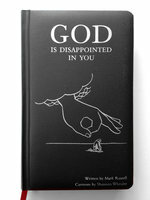 With writer Mark Russell, he co-created the acclaimed book God Is Disappointed in You (a tongue-in-cheek retelling of the Bible) and its sequel Apocrypha Now.